Here we are at the beginning of 2018, and that makes it full six months after our last event: Niyata. So, this 2018, TEDxJakarta team would like to deliver something different, some extras to our previous annual TEDxJakarta main event. TEDxJakartaSalon is about community and talks. 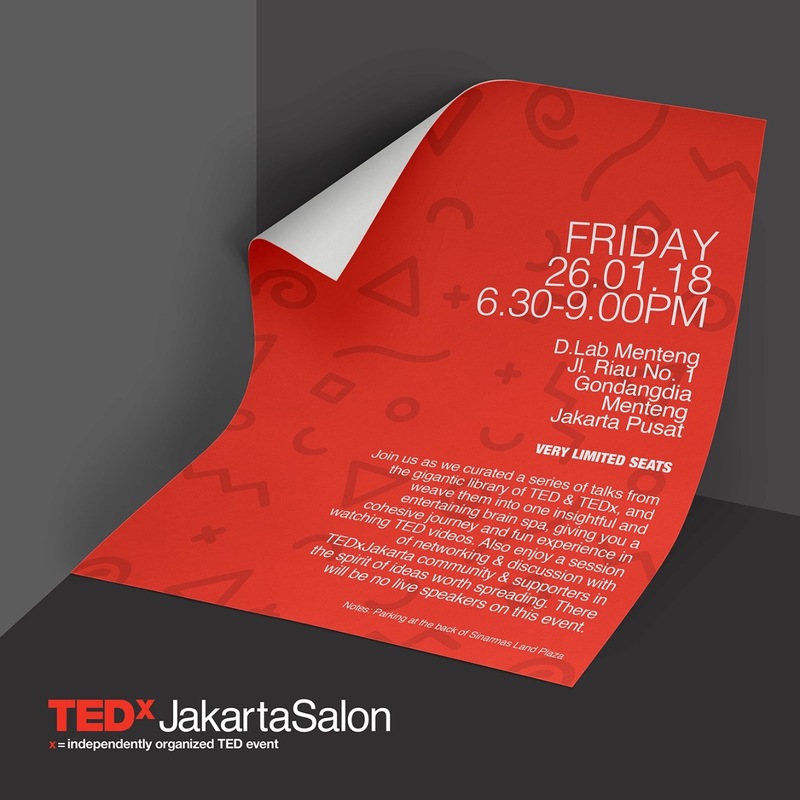 A series of intimate sessions that lives between our regular TEDxJakarta events with a purpose to spark discussions and keep the conversation going.